In the early 90's there were a few sets released in a series called Stars'n Stripes that showed some of America's Finest. As dolls in militairy uniforms. 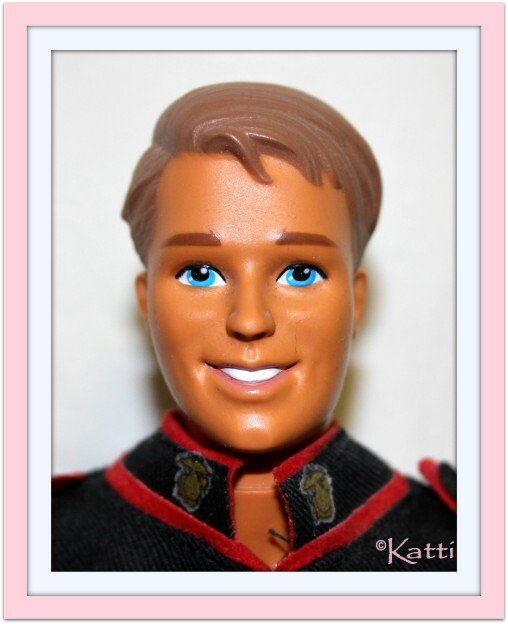 Patriotical dolls showing Barbie and Ken as part of the Marines, the Army and the Air Force. The Caucasian Ken in these sets had a new sculpt, only ever seen here. The boxes showed another head but inside was this handsome guy with his huge, white smile. His hair is a nice sidepart with a lock falling down on his forehead. The Ken dolls had different colors, Air Force was blond, Marine (below) was a light brown and the Army had a reddish brown tone.